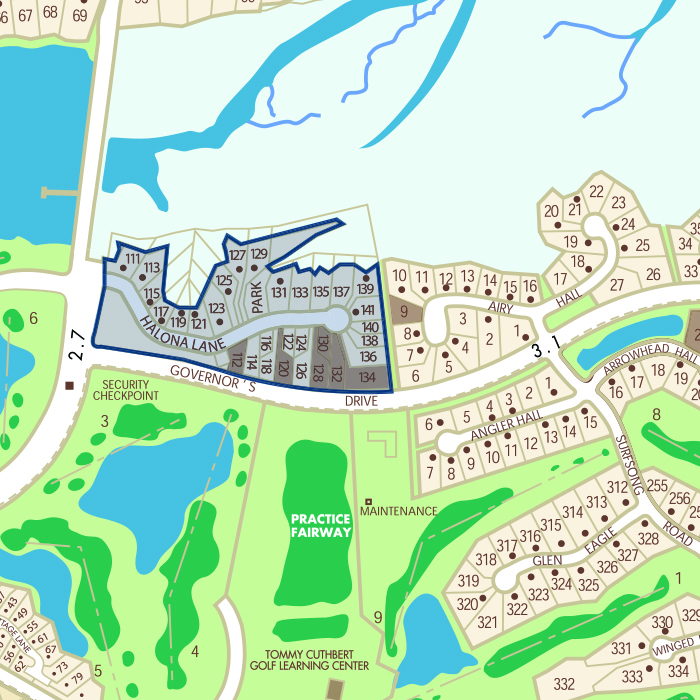 Centrally located near the River Course, Sasanqua Spa, and the second gate, Indigo Park is the site of the 2013 HGTV Dream Home. 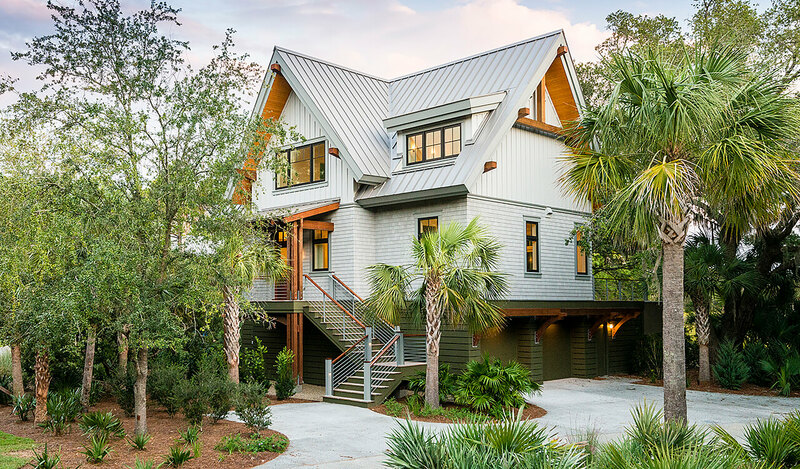 The neighborhood features 16 sustainably constructed cottages, designed to be eco-friendly from the ground up, nestled along a verdant marsh among grand live oaks. 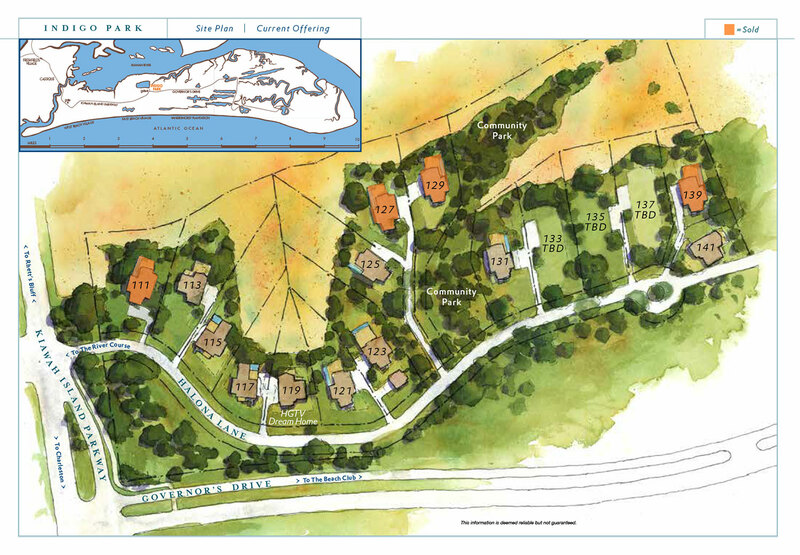 Each Indigo Park dwelling is built with LEED certification as its goal—using the highest grade earth-friendly, sustainable materials proven to reduce greenhouse gas emissions, lessen lasting effects on the environment, and provide durable, low-maintenance homes just steps away from a three-acre community park. 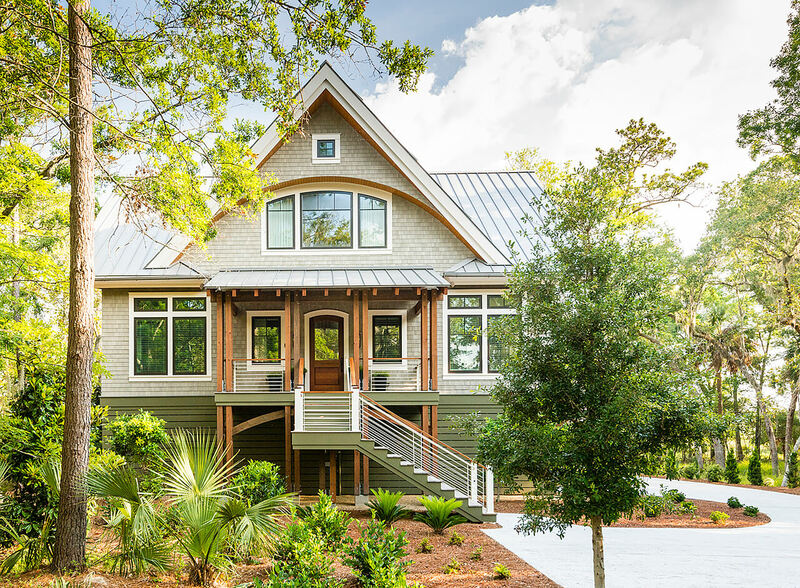 All four Indigo Park cottage plans, designed by acclaimed local architects, have been designed to fully maximize the homesites and views. 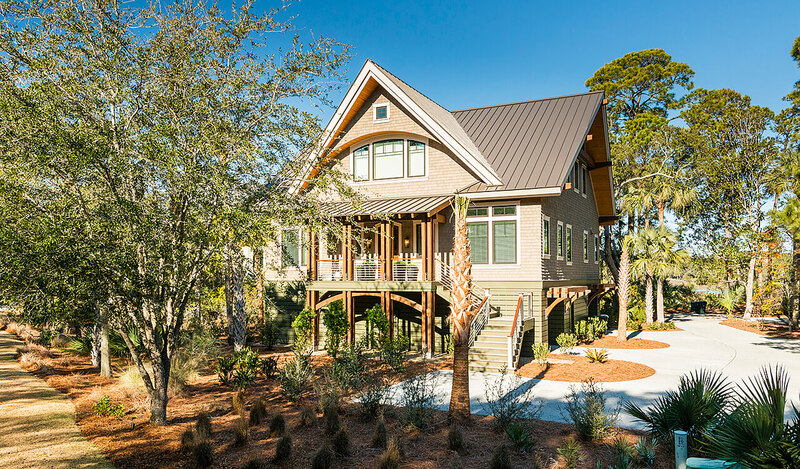 The dream home (the three-bedroom Camellia plan pictured above) achieved Platinum LEED® certification, the highest green home construction rating in existence. 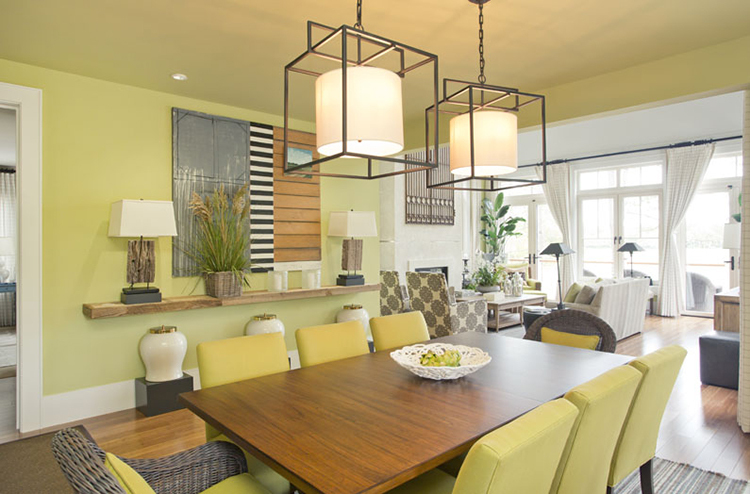 Indigo Park’s home designs aren’t just friendly to the environment, they’re friendly to the pocketbook. 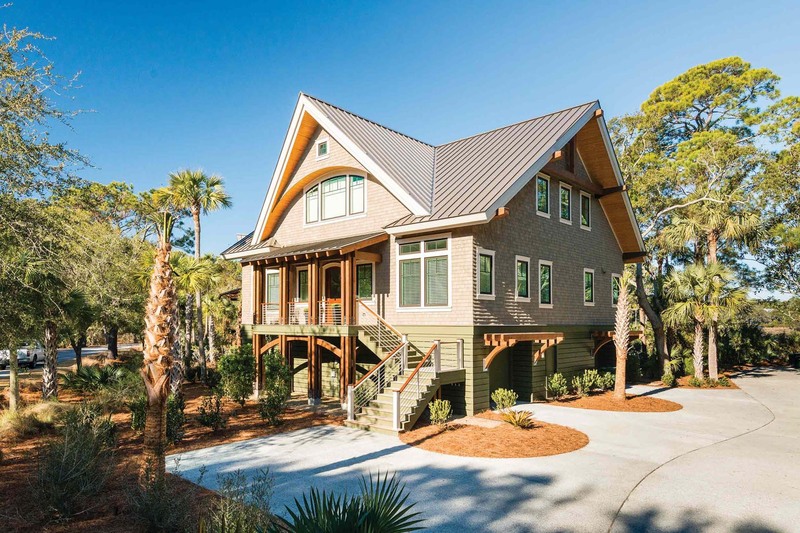 Available in several color palettes, each home’s NuCedar exterior shingles reduce homeowner maintenance since they need no painting or staining, and they never rot or fade. 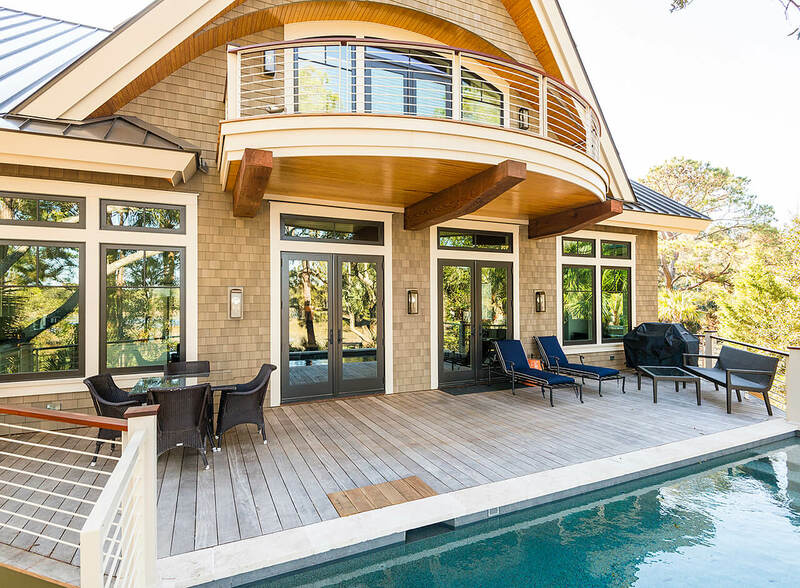 Featuring low-E glaze and additional insulating chambers, each home’s hurricane-rated windows are virtually maintenance-free. 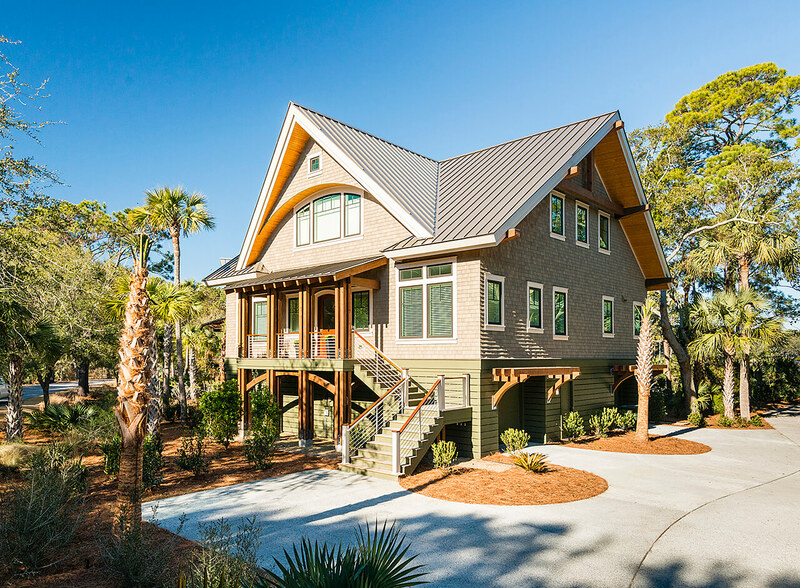 Each home’s true standing seam metal roof features a full 20-year coastal warranty. 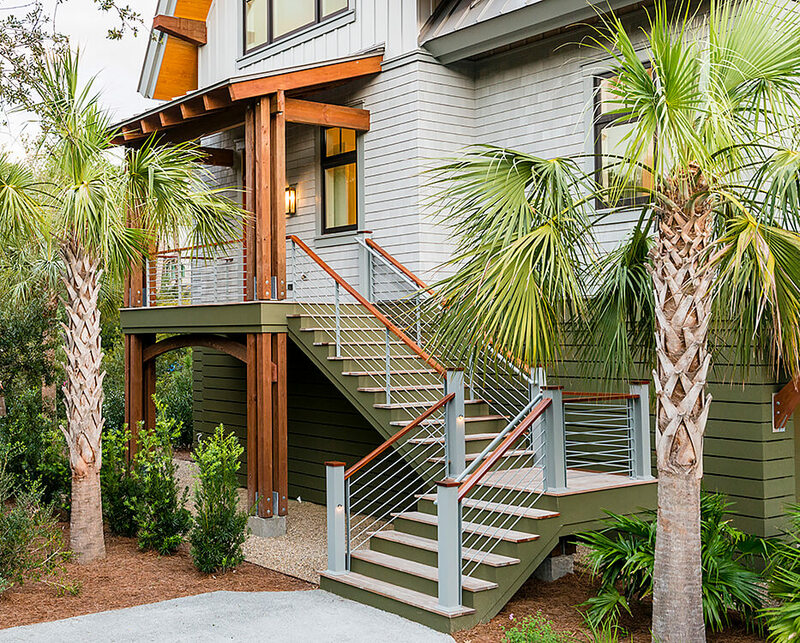 The decks and covered porches of every Indigo Park home are constructed with durable, forest-certified garapa wood, which naturally ages beautifully and requires no annual sealer. Each home’s low-flow plumbing fixtures, Rinnai tankless hot water heater, and Energy Star laundry appliances lower utility bills. Each home’s state-of-the-art, formaldehyde-free Spyder insulation is made from recycled glass for maximum energy efficiency. 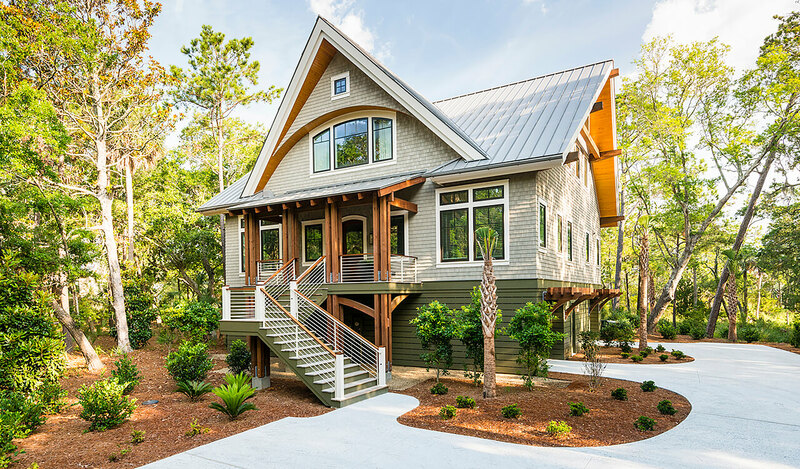 The floors and roofline of each home are insulated with closed-cell foam insulation to add structural strength and energy efficiency. All ductwork in each home will be run inside the insulation envelope to eliminate wasteful leaking. A dedicated circuit in the garage will charge an electric or hybrid car. Each home’s landscaping features garden swells and indigenous, drought-resistant plants, requiring significantly less maintenance and lowering water bills. Each Indigo Park home is also pre-wired for a premium sound system and offers an optional elevator from the garage to all levels. Kitchens feature custom Viking appliances and living rooms include fireplaces. 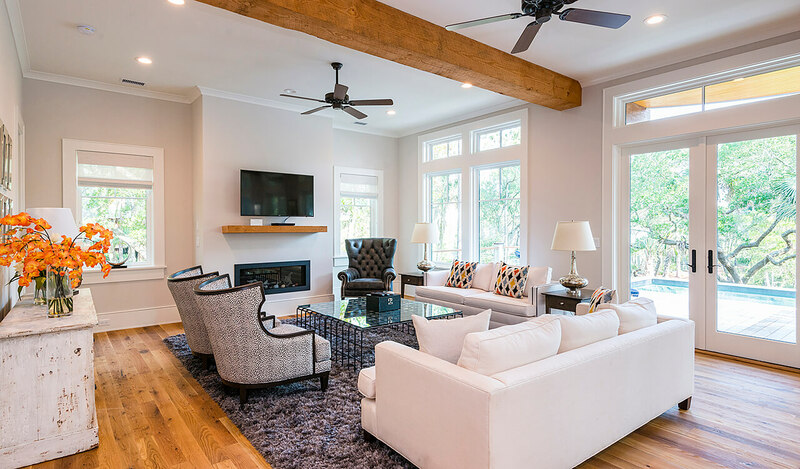 White oak flooring throughout each floor plan is available in a natural or dark stain. 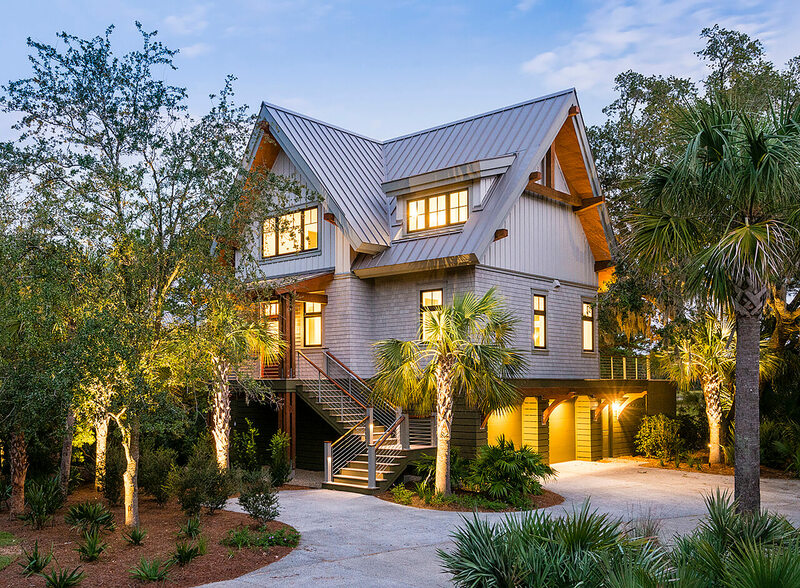 In each home’s garage, the eight-foot-ceiling is constructed of fire-rated drywall, and the exterior walls are made with PVC horizontal slats with a lifetime factory finish. 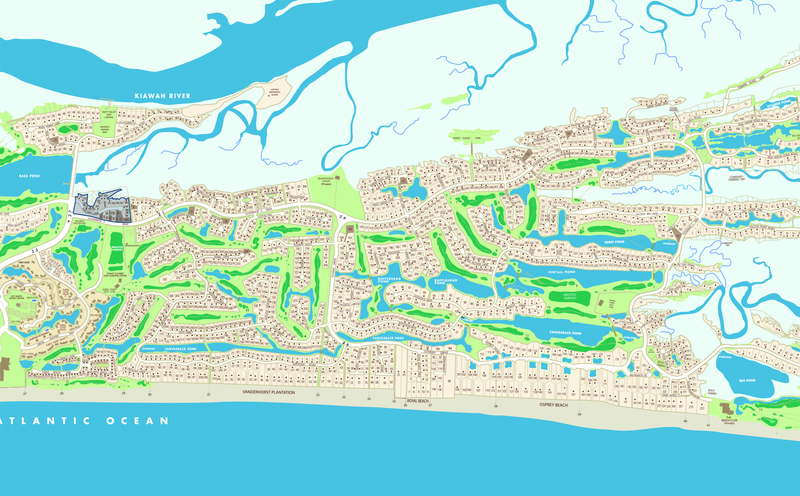 Indigo Park homeowners are eligible to join the Kiawah Island Club. 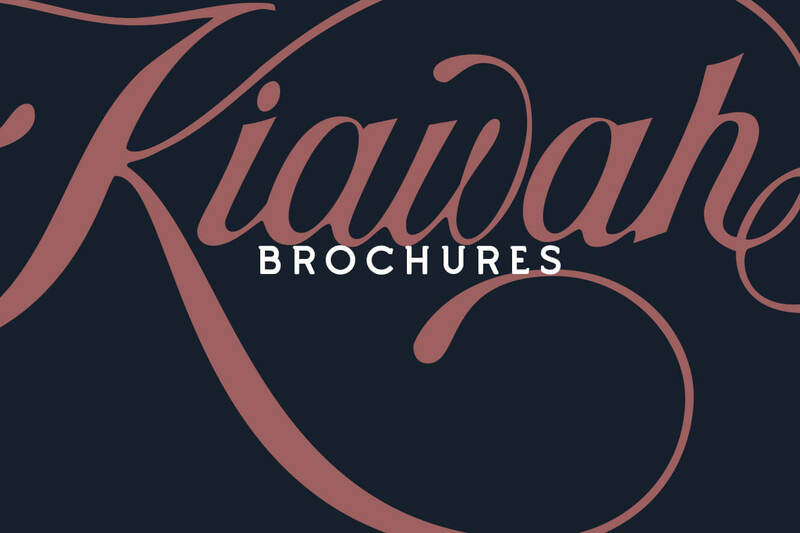 With a Kiawah Island Club Membership, you and your family will enjoy access to all Club amenities: The Beach Club, Cassique and its Clubhouse, the Sports Pavilion, the Kayak Dock & Boathouse, The River Course and its clubhouse, the riverside Sasanqua Spa (shown above), Marsh House, the Shooting Club clay pigeon course, BizHub, and all the recreation, entertainment, and dining each facility offers… plus, of course, ten miles of continuous Atlantic beach. Also, owners of Indigo Park homes will have the option to lease their property through the Homeowners’ Association.